The Austrian sculptor and medallist Otto Hofner created this monument in 1929. He portrayed the actor in one of his most famous roles. The wood plane (Hobel) under his arm identifies him as Valentin, who attunes the hobel song in the play “Der Verschwender“, written by Ferdinand Raimund. 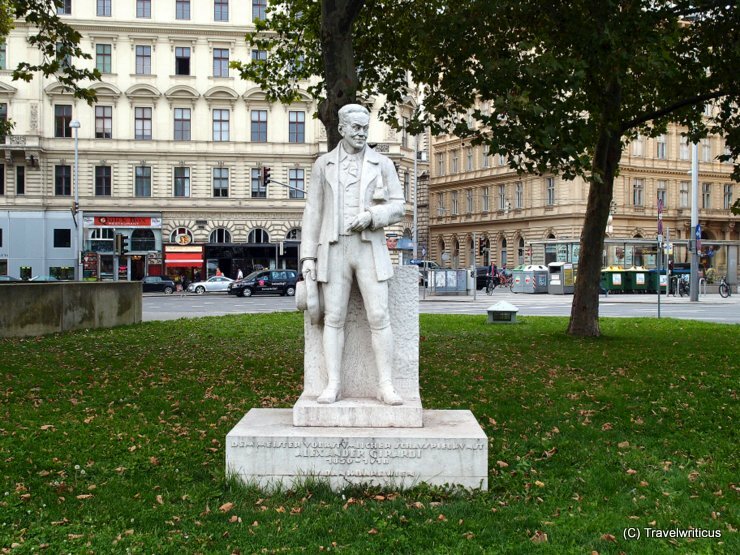 This entry was posted in Monuments and tagged Austria, Vienna by Travelwriticus. Bookmark the permalink.